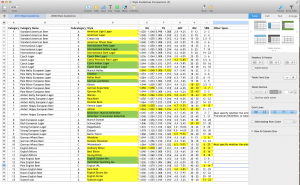 Mark Schoppe’s spreadsheet. You can download a copy by clicking the last link in the article. 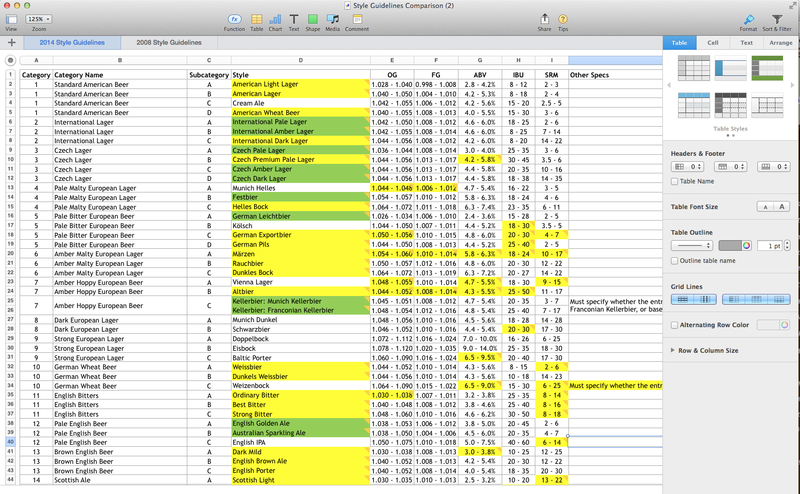 Mark’s spreadsheet has two pages, one with the proposed guidelines and one with the 2008 rules. On the first page, new styles are highlighted in green, and changes from the 2008 guidelines are highlighted in yellow. You can click on the orange arrow in any colored box for more information on the change. On the second page, deleted styles are highlighted in red and changes are highlighted in yellow. The current guidelines are open for discussion, and will be finalized soon. So, there may be more changes to come. But for now, Mark’s spreadsheet is a quick guide to what’s new in the proposed guidelines. This is great, I will share it with my homebrew club. Great! I hope they enjoy it. approximately! Bookmarked. Kindly also visit my site =).